In Folk Live you'll find playlists with CD's recorded live with an audience, Live recordings from friends and partners, interviews and more. In Folk Live you’ll find live recordings from Tønder Festival, and other places, sometimes mixed with interviews, like the 2 hour long show featuring music from the NordTrad 2015 conference held at Danish National Academy of Music in Esbjerg. Floating Sofa Quartet from Folk Spot Denmark, Tønder Festival 2017 - Hosted in English! Recording featuring Sherzandum live atTønder Festival 2016. Hosted in English! Recording featuring Odde & Holmen live at Tønder Festival 2016. Hosted in English! Live-recording featuring Himmerland live at Tønder Festival 2016. Hosted in English! Recording featuring Fru Skagerrak live at Tønder Festival 2016. Hosted in English! Recording featuring Fromseier Hovkings live at Tønder Festival 2016. Hosted in English! Recording featuring Elof & Wamberg live at Tønder Festival 3016. Hosted in English! Recording featuring D.u.K. live at Tønder Festival 2016. Hosted in English! Recording featuring Nasco & Jullie HJetland live at Tønder Festival. Hosted in English! Folk Live, featuring Dreamers' Circus in a recording from Tønder Festival 2014. Hosted in English! Folk Live featuring Svøbsk in a recording from Tønder Festival 2013. Hosted in English! Folk Live, featuring the Danish-Swedish-Scottish band, Basco, in a recording from Tønder Festival 2014. Hosted in English! Folk Live featuring the Danish folk big band, Habadekuk, in a recording from Tønder Festival 2014. Hosted in English! Folk Live - Featuring the Danish duo M.C. Hansen & Jacob Chano in a recording from Tønder Festival 2015. Hosted in English! Featuring the Danish band, Northern Assembly, in a recording from Tønder Festival 2015. Hosted in English! Folk Live featuring the Danish fiddler henrik Jansberg, and his band in a recording from Tønder Festival 2015. Hosted in English! Live recording of the Danish-canadian fiddle duo, Maja & David, recorded at Tønder Festival 2015. Hosted in English! Folk Live featuring the Danish singer/song-writer I da Wenøe in a live recording from Tønder Festival 2015. Hosted in English! Folk Live NordTrad 2015 - The Great Gala Concert! 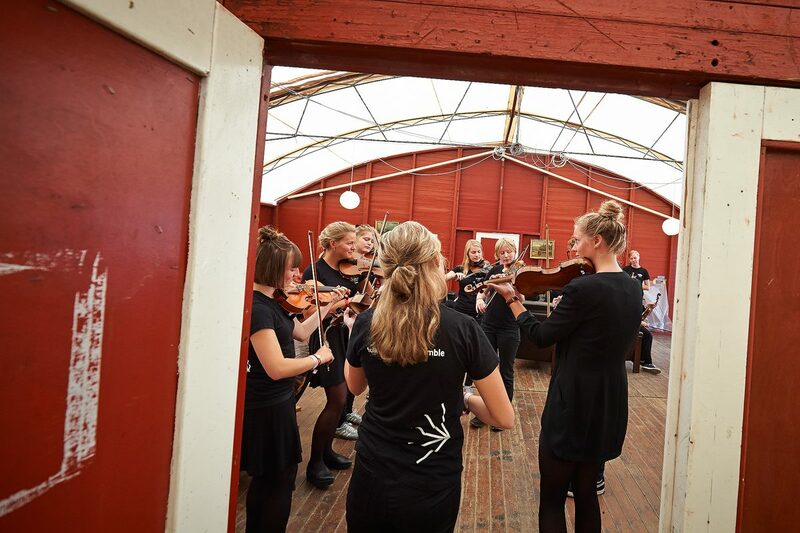 Music students at The Danish National Academy of Music in Esbjerg, Clara Tesch and Mads Kjøller-Henningsen, are telling the story of the NordTrad Conference 2015, and playing music performed and recorded at the event. Hosted in English!